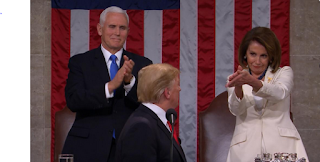 Try as she did, Speaker Nancy Pelosi could not keep President Trump away from the American people. She knew if she allowed him to address the nation from the House chamber during the shutdown it would be game over. She may have just delayed the game, but the outcome was inevitable. Trump was going to connect with the American people one way or another. He was going to explain our dire situation at the border. He was going to make the case for the wall. And he was going to paint a contrast between those who are for law and order and keeping Americans safe and those who are not. Going into the State of the Union address, the president's approval rating was at 48 percent, according to Rasmussen. That's two points ahead of where Obama was at this point in his presidency. One thing Trump has working against him is so many people personally despise him. Obama, on the other hand, was liked by the opposition, even though they disagreed with him. What Obama didn't have that Trump does is an unmistakable track record to point to in such a short time in office. Unemployment is at a near 50-year low. Black and Hispanic unemployment numbers are at historic lows. Trump's approval with Hispanics rose 19 percent during the shutdown specifically because he was working to keep illegal aliens out of the country. Nancy Pelosi's childish ploy to delay the State of the Union until after the government reopened may have been a gift to the president. Had he given the address on schedule we wouldn't know that we added 304,000 new jobs in January, far ahead of the 170,000 predicted. We wouldn't know that wages increased last year at over 3 percent, the greatest clip in a decade. And we wouldn't know that the government shutdown had no negative effect on the economy. We also wouldn't know that the Chinese blinked and agreed to buy about 18 times more soybeans than they bought before Trump hit them with tariffs. We wouldn't have known, had he given the speech in January, that the nonpartisan Congressional Budget Office estimated tariffs would only reduce GDP by 0.1 percent. And that was before the administration announced the Chinese soybean deal. Despite negative news coverage of this president at well over 90 percent, the man is still more popular than his predecessor who was fawned over by the press. What the American people are slowly learning is the mainstream media folks are scared to death of Donald Trump. They're scared to death because they know what he's doing is working. That's why Nancy Pelosi did her best to delay the State of the Union address for as long as she could. And we're building the wall. In spite of Congress, the president is fulfilling his promise to the American people, something totally unheard of in Washington. Meanwhile, the Democrats, drawing a false sense of boldness from the president's perceived weakness, have decided to show their true colors. They hoped Trump's negative numbers would give them cover. New York has just passed--and gleefully so--an abortion-on-demand bill that allows a woman to terminate her pregnancy at any stage of it. As they wring their hands over Trump's Supreme Court appointments out of fear they'll overturn Roe v. Wade, the liberals themselves are hastening its demise. If killing a child the day the mother goes into labor is now Roe v. Wade, they've left the high court no other option. The choice is now clear. Socialism versus capitalism. America versus Venezuela. 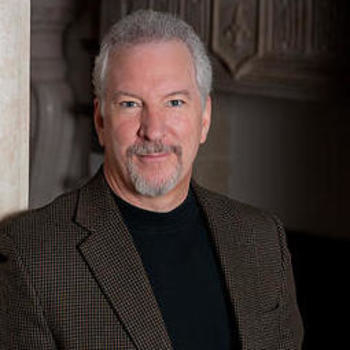 Phil Valentine is the host of the award-winning talk radio show, The Phil Valentine Show. He's also the co-host of The PodGOATs podcast.